Network Rail will begin work in January 2018 at Kerse Road to replace the railway bridge, providing clearance for the future electrification of central Scotland’s railway. This work will involve partial and then full closure of Kerse Road Bridge over a period of months, with the project due for completion in spring 2019. The Thistles has already been working closely with Network Rail and will continue to do so before and during the works. 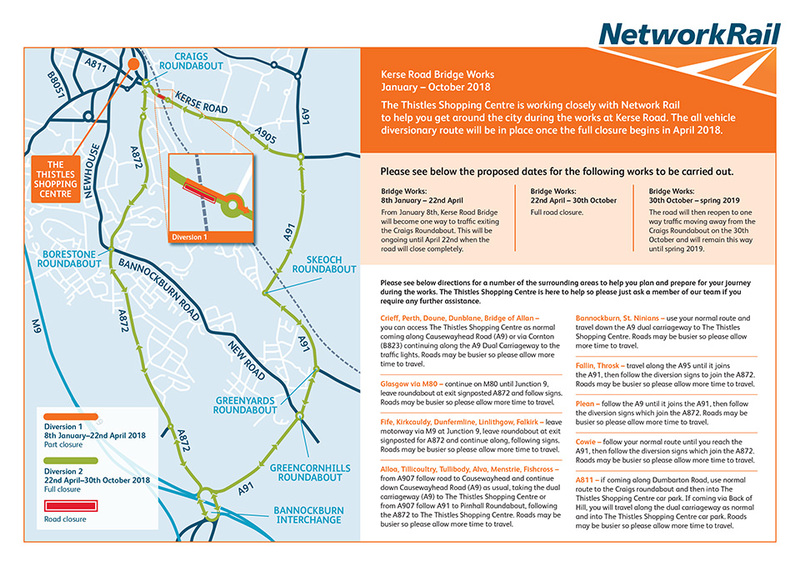 Please see below information on how to get around during the works. If you need any assistance please visit our Information Desk and our team will be happy to help.